Dr. James Strickland is a well-known pulmonologist in Birmingham, Alabama He got his medical degree from University of Alabama School of Medicine and did his residency at Baptist Health System. 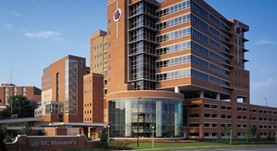 Dr. James Strickland completed his studies with a fellowship at University of Alabama Medical Center. He is board certified in sleep medicine, critical care medicine, and pulmonary disease. At the moment Dr. James Strickland is affiliated with St. Vincent's Birmingham and has over 20 years of experience.